A family name variously spelled: and . It is not certain whether this is the same name as that borne by the Spanish Karaite, Sidi ibn al-Taras ( ), author of a work containing the opinions of Abu al-Faraj. 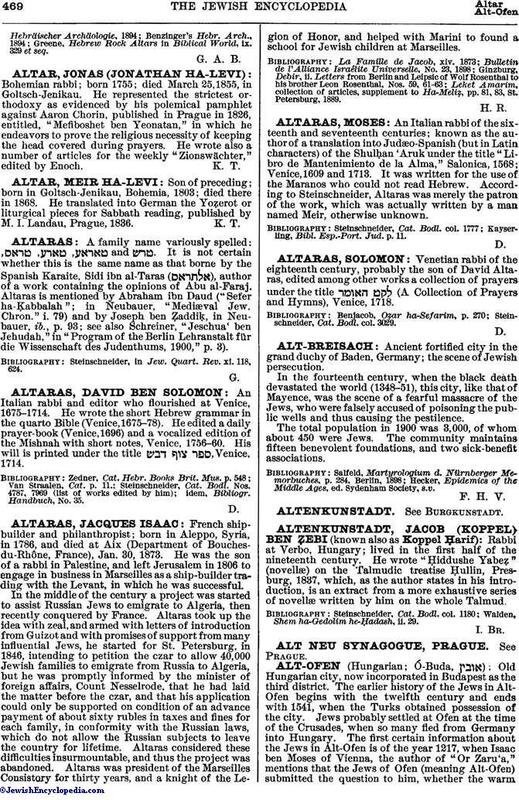 Altaras is mentioned by Abraham ibn Daud ("Sefer ha-Ḳabbalah"; in Neubauer, "Mediæval Jew. Chron." i. 79) and by Joseph ben Ẓaddiḳ, in Neubauer, ib., p. 93; see also Schreiner, "Jeschua' ben Jehudah," in "Program of the Berlin Lehranstalt für die Wissenschaft des Judenthums, 1900," p. 3). Steinschneider, in Jew. Quart. Rev. xi. 118, 624.